Summer Missions is a 10-day outreach/missions trip in Bournemouth, England lead by YWAM Urban Key London. It consists of a variety of sessions and activities, which are aimed at training and equipping those involved to know God and make Him known. Over the course of the 10 days there will be times of worship, prayer, devotionals, and teaching, as well as evangelism activities ultimately aimed at sharing God’s love and seeing people encounter and experience God. All of this happens while having loads of fun at the beach and hanging out with old friends and new! The heart of this outreach is to open doors and expand the Kingdom, stepping out of our comfort zones and day-to-day routines to share with others what God is doing in and through us. We want to see revival take place here in England, and we believe that can happen as we come together as one body to grow, serve and reach our communities for Christ. 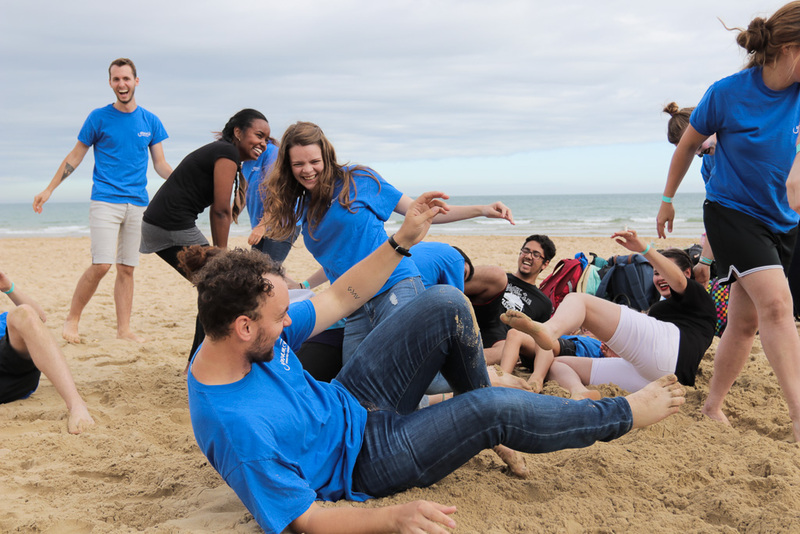 Last year we saw God move in awesome ways as we engaged the people in Bournemouth through everything from dramas, dancing, drum line performances and stilt walkers to face painting, creative intercession and beach games. We are expectant of all that God wants to do this year and we would love for you to join us! We will be staying at St. Andrew’s Church, which means cooking and eating most of our meals there, as well as sleeping on the floor. We were able to use their church parish centre to practice for outreach activities. We Will kick off the afternoon of the 29th and will finish the camp with lunch on the 8th. We welcome anyone 18 and older, and if there are youth aged 14-17 interested in coming, we would need a signed parent consent form (see attached) for every youth participating and at least one leader from your church group (more leaders depending on the number of youth). 29th July-8th august 2019 in Bournemouth, England. The cost of Summer Missions 2019 is £220 and the deadline for registration is 15th July. The deposit (50% of total cost) must be paid by 20th July and the remainder of the cost must be paid by 25thJuly. These fees include accommodation, food, showers and all event materials for the duration of the outreach. This does NOT include transportation to and from Bournemouth, any local transport (buses to/from Poole or town center and on free day if desired) and any expenses for free day activities, additional snacks, or personal items.